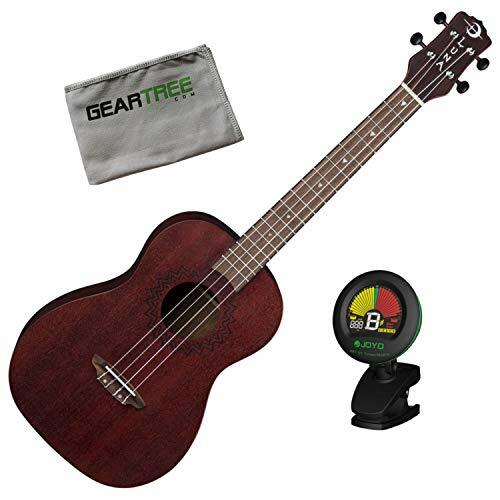 All-Mahogany ukuleles are some of the most favored wood construction among uke enthusiasts today. Luna continues its unique stride in creativity by introducing a full family of Vintage ukuleles dressed in a Red Satin finish. The signature laser-etched rosette design around the sound hole compliments its already vivid Red Satin color. Expect sharp yet vibrant sound from the all mahogany body and easily keep that rhythm in tune with the sturdy black open gear tuners. Take the eye-catching Red Satin ukulele with you everywhere you go! This is a wonderful instrument for players of all skill levels. Join the Luna Tribe!